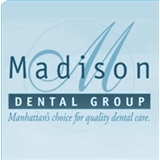 Madison Dental Group (New York) - Book Appointment Online! Madison Dental Group is a friendly family dental practice dedicated to quality, caring and comfort. Our dentists, specialists and hygienists regularly confer on patient care, so you benefit from our collective years of experience. We constantly update our individual and group education to insure that we remain on the leading edge of dental technology. Founded in 1896, we are the longest continually operating dental practice in New York City 95% of our appointments are kept on time. We accept Visa, Mastercard, American Express, Discover and develop payment plans to assist our patients. We are conveniently located in midtown, at Madison Avenue and 53rd Street. Our experienced staff can assist you in getting the maximum legally available medical benefits. Emergency visits are scheduled the same day. First visit with the doc was very good, especially since he is taking over for my prior doctor who left the practice. Very personable, pleasant, informative, experienced & helpful. I feel confident I am in good care. Dr. Vlad is awesome. I am so happy with my visit. He’s very professional. He took the time to explain everything to me with no judgment at all. I am defiantly going again and again and I recommend him to everyone who needs a dentist. He’s the best dentist ever. I have a good history of dentists but he makes me the mast comfortable. As a new patient to Dr. Harrison I am very happy with my experience. She was professional, friendly, thorough and positive – and so was the staff. A very good experience.